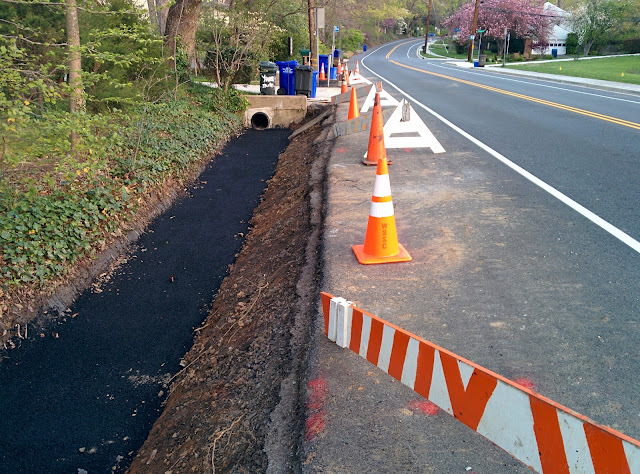 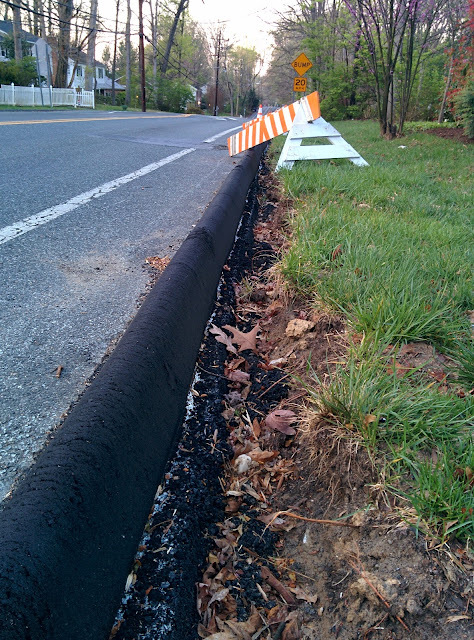 For the past couple of weeks they have been replacing the curbs and improving drainage on Fernwood road near Michaels drive. 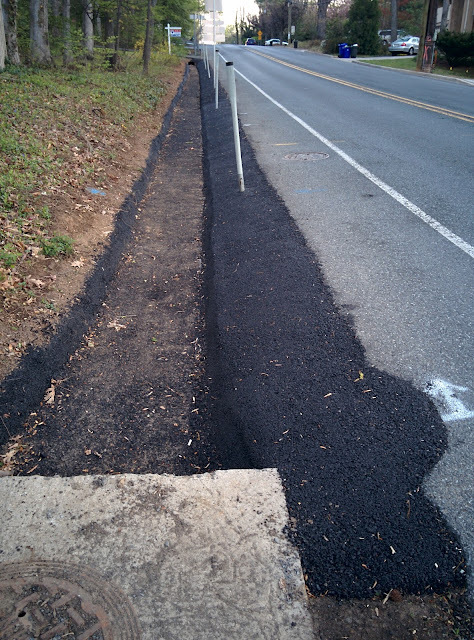 For all the talk Montgomery county does about permeable pavement, I hope this is porous asphalt, but it doesn't look like it to me. 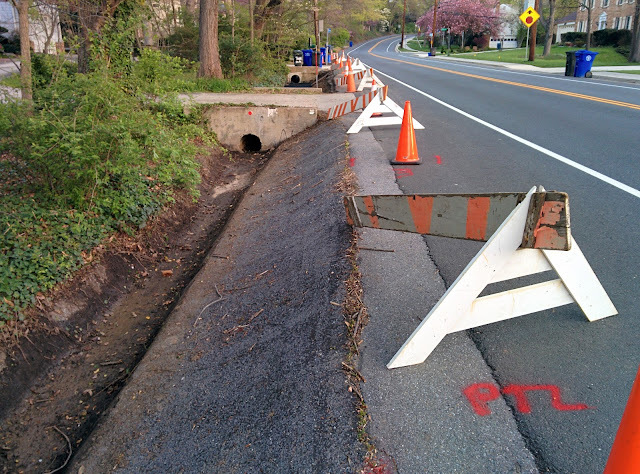 They have now started to improve some of the drainage on Greentree Road near the Bradley Hills Presbyterian Church, clearing out the overgrown and clogged ditch that was there, and in at least one place re-surfacing the bottom of the ditch.